Saint Brandon, also known as the Cargados Carajos Shoals, is an Indian Ocean archipelago about 430 kilometres (270 mi) northeast of Mauritius consisting of a number of sand banks, shoals and islets. Saint Brandon consists of five island groups, with about 28–40 islands and islets in total, depending on seasonal storms and related sand movements. There are 22 named islands and shoals. The archipelago is low-lying and is prone to substantial submersion in severe weather. It has an aggregate land area estimated variously at 1.3 km2 (0.50 sq mi) and 500 acres (2.0 km2). Over the years it has become a famed destination for its untouched beauty and avid wildlife. In the fishing community it is known for its abundance of fish and beautiful scenery. 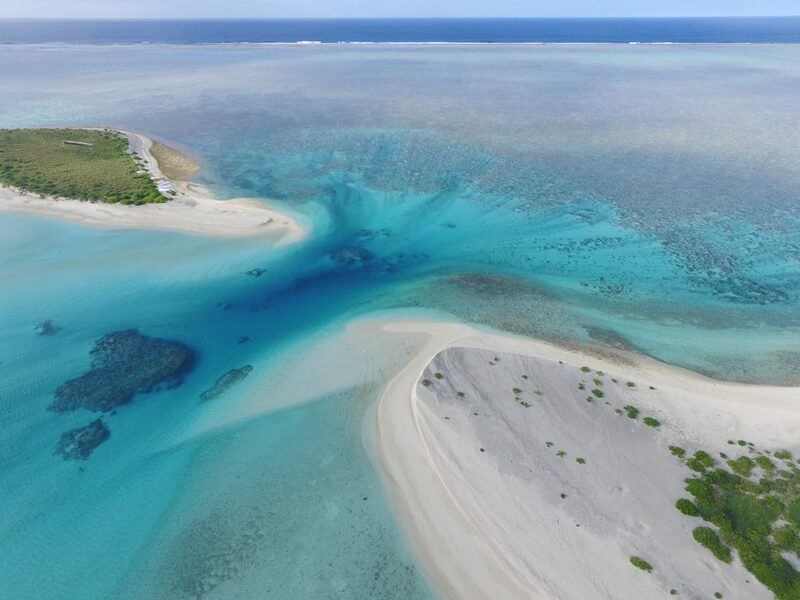 Economic activity in the region is limited to fishing on the very extensive shallow bank covering approximately 900 sq mi (2,300 km2) around the islands. 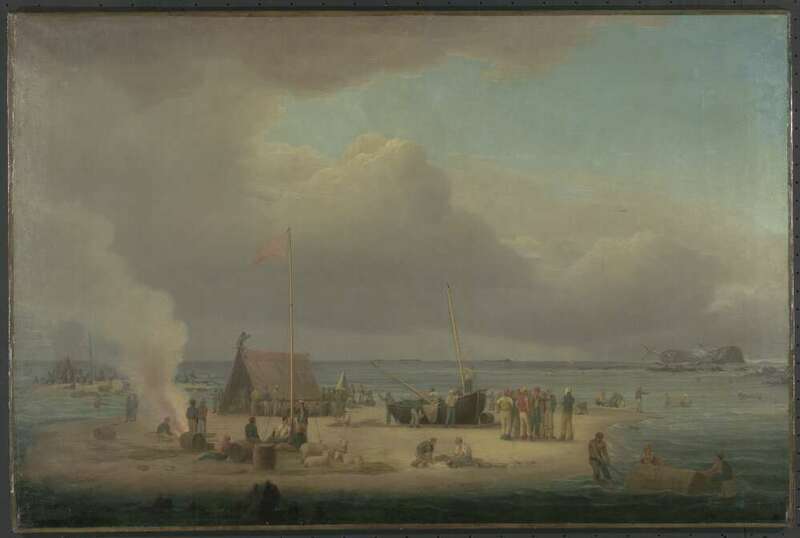 By the early 19th century, most of the islands were in use as fishing stations. 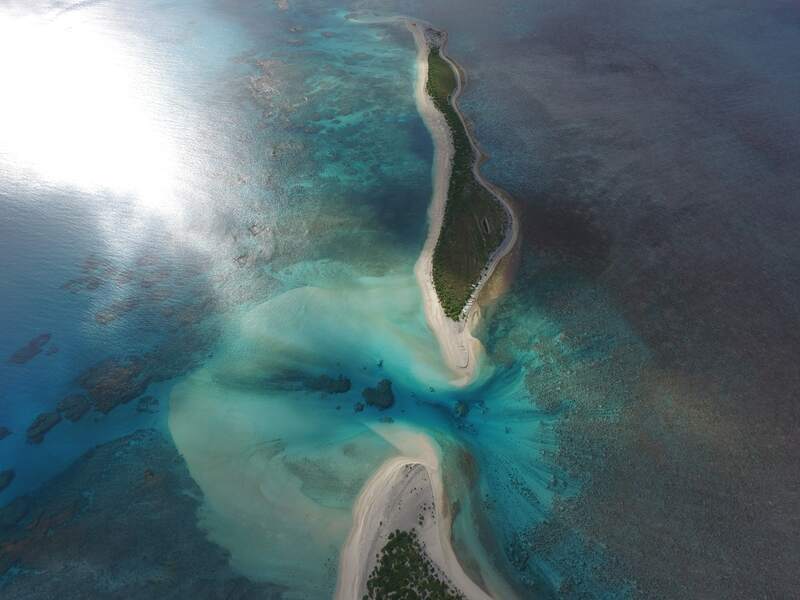 Geographically, the archipelago is part of the Mascarene Islandsand is situated on the Mascarene Plateau formed by the separation of the Mauritia microcontinent during the separation of India and Madagascar about 60 million years ago. 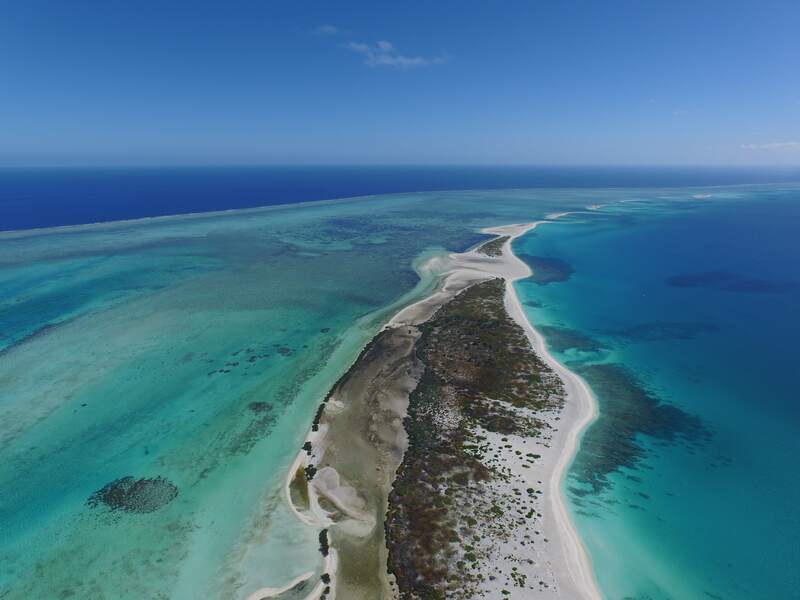 The reef measures more than 50 kilometres (31 mi) from north to south, and is 5 kilometres (3.1 mi) wide, cut by three passes. The reef area is 190 km2 (73 sq mi). 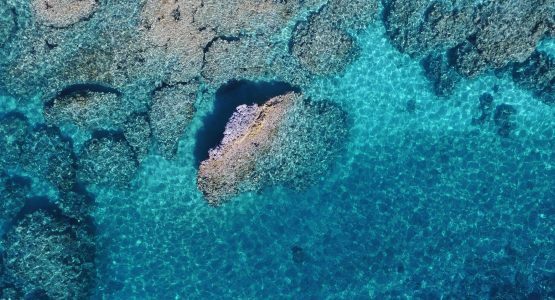 The reef measures more than 50 kilometres (31 mi) from north to south, and is 5 kilometres (3.1 mi) wide, cut by three passes. The reef area is 190 km2 (73 sq mi). By booking a trip with us we will fill out all necessary paperwork and administration information required to visit the island, look after you and guide you while you are there and show you all our favourite fishing spots on and around its beautiful shores. While on the island it is important that you carefully follow the instructions from our skipper and crew both to preserve the island for future generations and to safeguard your own life as the Islets are infested with sharks and any small accident can severely escalate due to its distance from the nearest hospital. Visitors ignoring the sanctuaries rules over the years have had a clear impact on the island and we all must play our part to preserve the beauty of this world renowned fishing spot. Depending on the anglers requirements we can organise anything for your group from fishing guides to accommodation. 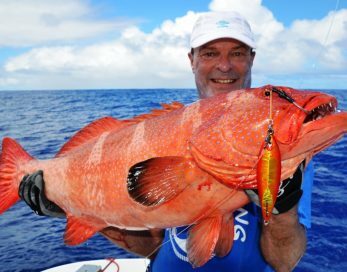 Your dream trip, facilitated and organised by Sportfisher! Be sure to let us know how many people, the length of time and any other details about your trip. What kind of fish can I expect to catch on Saint Brandon? 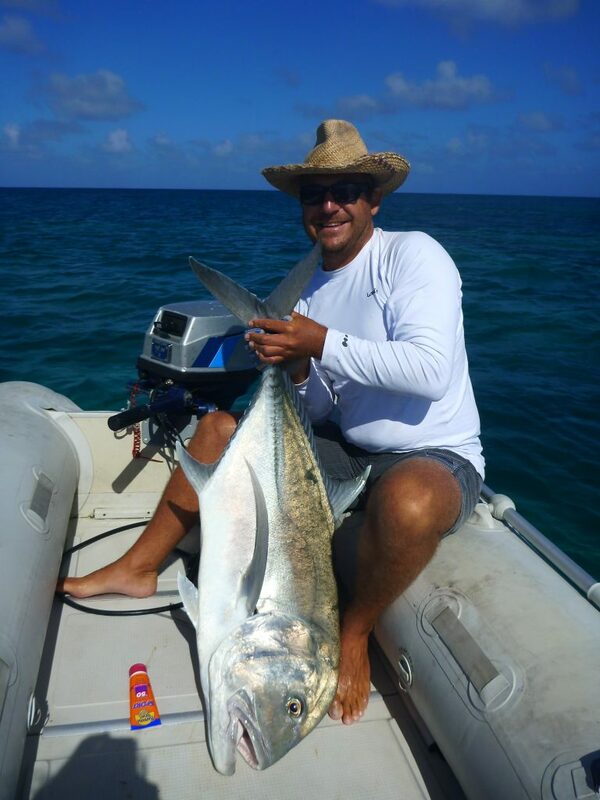 Saint Brandon is world known in fishing circles for multiple species of large Trevally and Bonefish who often grow close to record breaking sizes.Depending on who you talk to some anglers even argue that there is no better destination than St Brandon for Bonefishing. Below is the profiles of a few fish that are abundant among the Cargados Carajos Shoals. The bonefish (Albula vulpes) is the type species of the bonefish family (Albulidae), the only family in order Albuliformes. 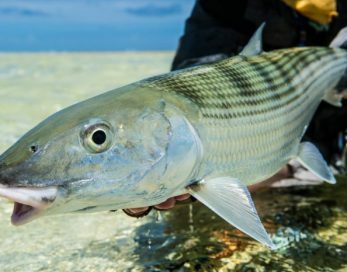 The bonefish weighs up to 19 lb (8.6 kg) and measures up to 90 cm (35 in) long. The color of bonefish can range from very silver sides and slight darker backs to olive green backs that blend to the silver side. Slight shading on the scales often lead to very soft subtle lines that run the flank of the fish from the gills to the tail. The bases of the pectoral fins are sometimes yellow. 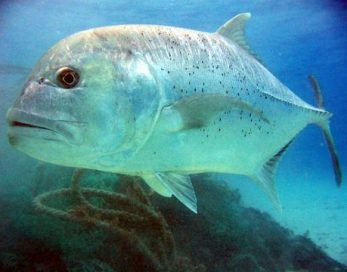 The giant trevally, Caranx ignobilis (also known as the lowly trevally, barrier trevally, giant kingfish, or ulua), is a species of large marine fish classified in the jack family, Carangidae. The giant trevally is distinguished by its steep head profile, strong tail scutes, and a variety of other more detailed anatomical features. It is normally a silvery colour with occasional dark spots, but males may be black once they mature. It is the largest fish in the genus Caranx, growing to a maximum known size of 170 cm (67 in) and a weight of 80 kg (176 lbs). The giant trevally is an apex predator in most of its habitats, and is known to hunt individually and in schools. The golden trevally (Gnathanodon specious), also known as the golden kingfish, banded trevally and king trevally), is a species of large marine fishclassified in the jack and horse mackerel family Carangidae, and the only member of the genus Gnathanodon. 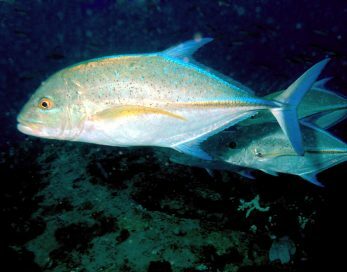 The golden trevally is easily distinguished from its relatives by its fleshy, rubbery lips and unique colouration, which ranges from bright yellow with black bars as a juvenile to a golden-silvery colour as an adult. It is known to grow to 120 cm in length and 15 kg in weight. 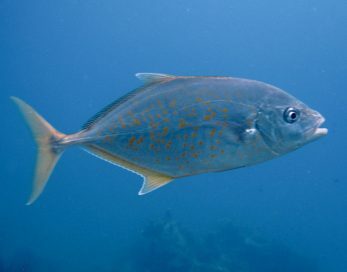 The golden trevally schoolsas a juvenile, often closely following larger objects including sharks and jellyfish. The bluefin trevally, Caranx melampygus (also known as the bluefin jack, bluefin kingfish, bluefinned crevalle, blue ulua, omilu and spotted trevally), is a species of large, widely distributed marine fish classified in the jack family, Carangidae. The species grows to a maximum known length of 117 cm and a weight of 43.5 kg, however is rare above 80 cm. Bluefin trevally are easily recognised by their electric blue fins, tapered snout and numerous blue and black spots on their sides. Juveniles lack these obvious colours, and must be identified by more detailed anatomical features such as fin ray and scute counts. 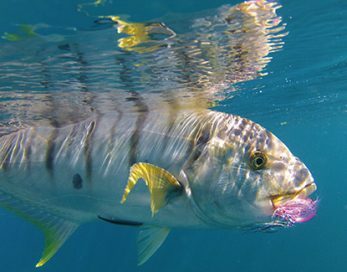 The yellowspotted trevally, yellowspotted kingfish, goldspotted trevally, or tarrum, Carangoides fulvoguttatus, is a widespread species of large inshore marine fish in the jack family Carangidae. The species is known to grow to a maximum length of at least 1.2 m, and is distinguished by gill raker and fin morphology, as well as the distinctive golden spots which give the fish its name. The yellowspotted trevally generally prefers inshore rocky and coral reefs, but is occasionally found over deep offshore sand banks to a depth of 100 m.
Found in protected coastal reef in mixed algae and coral habitat. Common on inshore coastal reefs but absent in clear offshore reefs . 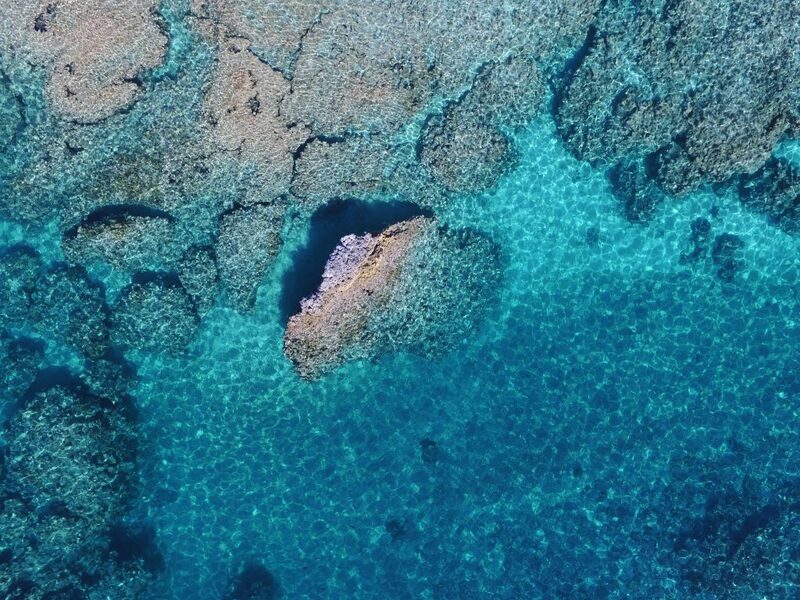 Juveniles have a demersal existence in shallow water in reef habitats, especially around coral rubble. Migrate over short distances to spawn, forming aggregations. May move into shallow water to feed. Eggs float just below the water surface. Pelagic larvae are found in habitats similar to those of the adults. Juveniles feed on small fish and invertebrates such as crustaceans and squid. Commonly used for food. Its flesh is delicate and well appreciated. The atoll was probably discovered in 975 A.D. by Arabian sailors along with Dina Arobi (“Abandoned Isand” – Mauritius) and may be referred to as “Baixos” on the 1502 Cantino Planisphere. It was named in 1506 by Portuguese sailors who put ashore for provisioning on their way to India. Pirates have used the islands as a refuge. In 1598, the Dutch occupied the islands. Mauritius and its associated islands were colonised by the French in about 1715, granted by the King of France to the Compagnie des Judes in 1726 but retroceded to the French Crown in 1765. In the book ‘The history of Mauritius, or the Isle of France, and the neighbouring islands; from their first discovery to the present time’ by Charles Grant, the author quotes from his father’s papers that “The bank of Corgados Garayos was, in 1742, the first object of the researches made by the boat named the Charles, and the tartan the Elizabeth, dispatched from the Isle of France (Mauritius) by order of M. Mahe de la Bourdonnais, at that time Governor of it. These two vessels having made it on the 27th of August, anchored there, and traced a plan of it, by which it is represented in the form of an horse-shoe, and of six leagues in extent, running north-north-east and south-west. These two boats not having been on the north side, and, consequently, not having perceived the isles which lay off it, its small extent, and the affinity of its latitude and longitude with that of Saint Brandon, on which an English vessel, called the Hawk, (le Faucon) was stranded on her return from Surat to Europe, induced me to consider it as one and the same shoal” Saint Brandon was referred to as ‘Cargados’ in Samuel Dunn’s world map of 1794. 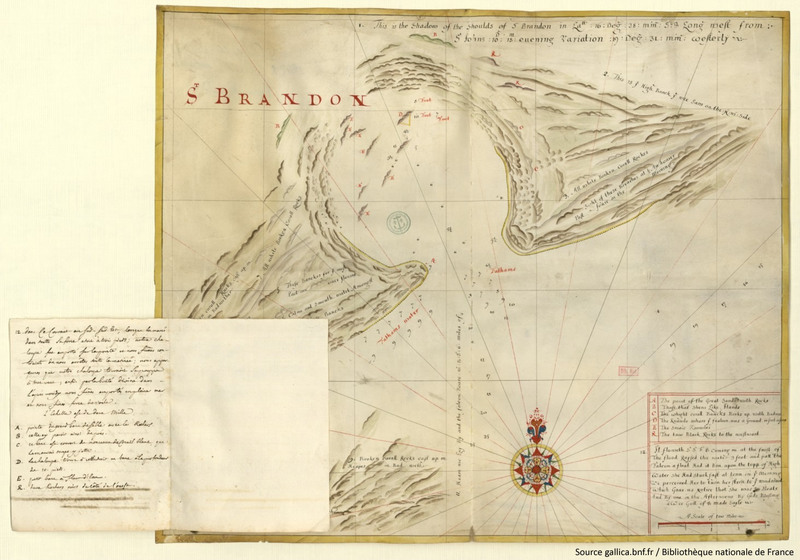 Shipwrecks on the low-lying, rocky reefs of St. Brandon have been recorded since as early as 1662. On 12 February 1662, the Dutch East Indiaman sailing ship Arnhem wrecked itself on the rocks at St. Brandon. In 1780s (?) – The English ship, The Hawk, foundered on Saint Brandon on her return to Europe from Surat. 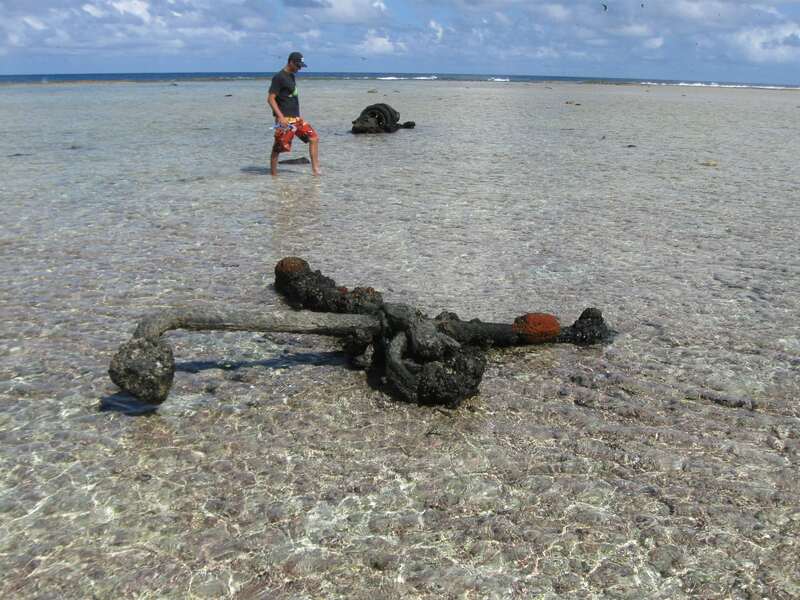 In July 1818, the sailing vessel Cabalva, owned by the East India Company, struck the reef at St. Brandon and was destroyed. On 15 September 1845, the sailing ship Letitia ran aground on Frigate islet. On 3 October l969, the Russian tugboat Argus itself on the reef at St. Brandon. 38 men were rescued by local fishermen. On 1 February 2015, the fishing vessel Kha Yang, with 250,000 litres of fuel in its tanks, ran aground on the reef of St. Brandon. 20 crew were rescued shortly after its grounding, and a salvage operation pumped the fuel from its tanks a few weeks later. On 2 February 2017, the 190 meter long bulk carrier Alam Manis ran aground on Cargados Carajos . The bulk carrier was headed to Pipava from Richards Bay when it ran aground. If you possess the correct diving accreditations and you would like to include a dive around these incredible wrecks as part of your trip email us at: info@sportfisher.mu and we will do our best to accommodate and tailor your needs into the trip. We allow visitors to catch and keep fish which will be kept for the same day meals. All other fish caught during the day must be released whilst taking as much care as possible not to harm them. We recommend removing the barbs from hooks to ensure minimum damage to the fish released. When fishing for a meal, please do so outside the lagoons as one must remember that the lagoons are the cradle for St Brandon’s fish population. Strictly no fish is allowed to be brought back to Mauritius. Mandatory emergency medical evacuation insurance (Global rescue or Europe Assistance). Everyone travelling to Mauritius must have a passport valid for at least 6 months beyond the end of travel. A 50% deposit must be received on confirmation of the dates and full payment must be received at least 4 weeks prior to departure. If the deposit is not made upon confirmation of dates, the company has the right to give the booking dates to another group. If a trip is cancelled by the clients less than 4 weeks prior to departure, the deposit will be forfeited. If a trip is cancelled less than 2 week prior to departure for unreasonable reasons*, the total amount will be forfeited. Please note that a deposit of MUR 25,000 is requested in case of breakage or loss of equipment. This amount will be refunded on the client’s return to Mauritius. In case of loss or breakage of equipment due to client’s negligence, the company will use the money to cover for repairs. If a trip is cancelled by the company due to bad weather or another unforeseen event, the client will be refunded in full. *The company reserves the right to decide if a cancellation is made on reasonable grounds. Reasonable cancelation may include bad weather or other unforeseen events. If one of the transporters is not operational for unforeseen reasons, another boat will be made available. For available dates, please check with the company. St Brandon is an important bird sanctuary. Please interfere as little as possible with them. When doing beach excursions, please be careful not to walk on eggs or to disturb a nest. 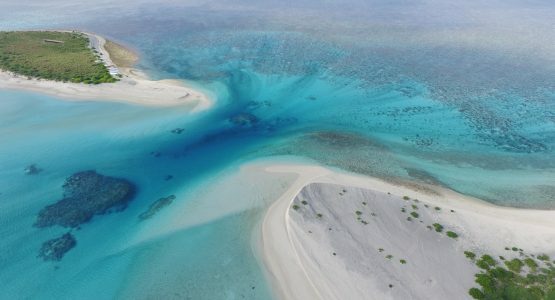 Not all islands can be visited, for example the islands which hold colonies of roseate sterns such as petit IDS, Veronge or Zozo Posé should not be approached. These bird species chicks are very skittish and if disturbed will run out to sea and often drown unable to come back ashore. Enough crayfish for a meal can be caught on the condition that strictly no females with eggs and small specimen are kept. Please be careful while catching the crayfish as it is only once caught that one can see if it is a female or not. Ensure not to damage the coral reef when crayfishing. Same as for the fish, strictly no crayfish allowed to be brought back to Mauritius. We have a few permanent moorings strategically placed around St Brandon; please make use of these so as to cause no harm to the coral reef by dropping anchor. If one inevitably has to put down anchor, please be sure to set it down on a sandy bottom. St Brandon are full of seashells, one may bring back a few dead ones as souvenir but bearing in mind, a sea shell looks much nicer on a beach than on a shelf. Live seashells or shells which have a new owner (eg. hermit crabs) are strictly prohibited to be touched. Please practice this sport away from the islands as the kites affects the bird populations nesting on them. If you find or see anyone not respecting the above rules of conduct or practicing any illegal activity, please inform the company ASAP and we will make sure to take action, report him/them to the relevant authority and further block that individual or group from any activity offered by the company in the future.